It's been a little quiet on the blog front over the last 3 weeks or so but I have found snatches of time here and there to progress this project. I'm finally at the end of the sculpting and converting stage (excluding a little bit of gluing) so painting and work on the base is up next. The arm holding the weapon and the cape were probably two of the things I was kind of dreading having to do, but in the end they were actually a lot of fun to do and turned out quite well. All in all I am very pleased with how he has turned out and I'm looking forward to slapping some paint on him. I've learned a lot during the converting and sculpting process on this figure, including finding a putty mix that I am really enjoying working with - hopefully this will carry over onto future figures too. Feel free to let me know what you think, or any questions in the comments below. Today's blog post is something a little bit different. 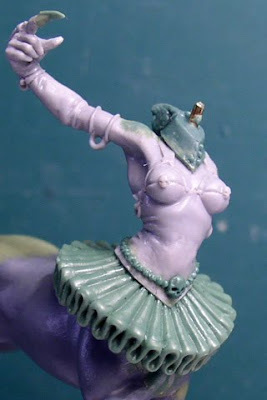 Last year, CoolMiniOrNot.com announced that it would be organising a special painting competition, the Crystal Brush Awards, to take place at AdeptiCon 2011. 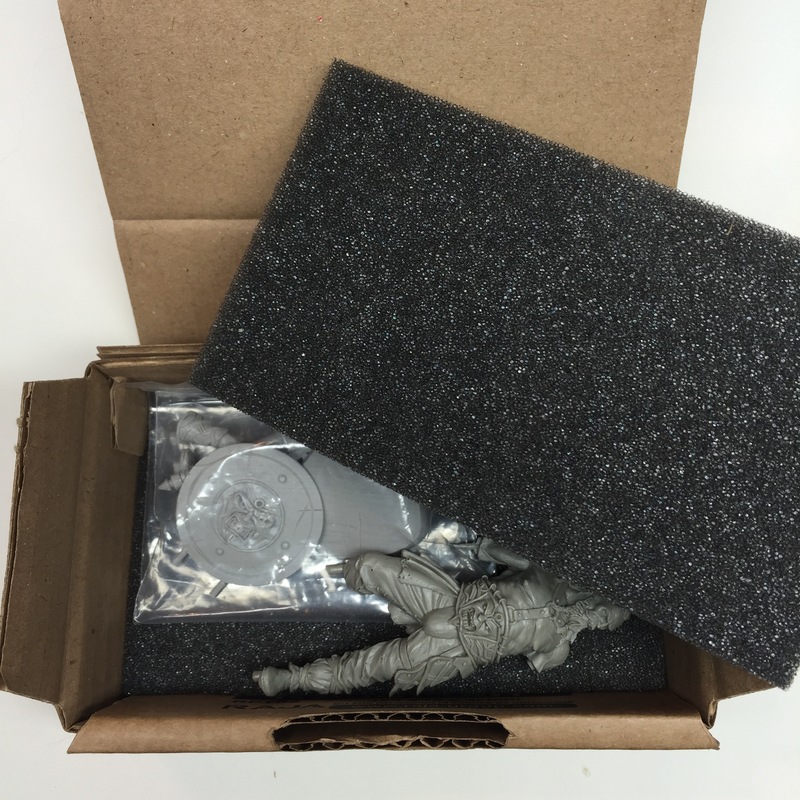 With a $10,000 top prize and $2,000 and $1,000 respectively for 2nd and 3rd place, this is certainly the most valuable prize of any miniature painting competition I know of. The competition is also a little special because of the way in which judging is handled. 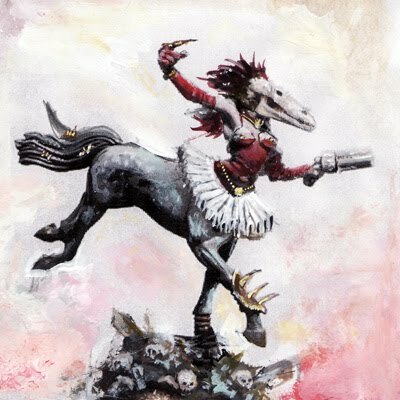 In addition to judging, which will take place at Adepticon in Chicago by a panel of experts including the legendary Mike McVey, the other 50% of the final scores will be determined by internet voting on the CoolMiniOrNot website. Without getting in to discussion about the judging system (of which, personally, I am not a fan), it certainly makes things interesting in the run up. For a change, entrants are actively promoting their work in progress on entries in order to generate public interest which could pay dividends come the online voting. One entrant in particular, who's work I have long admired, is Jakob Rune Nielsen. I have been fortunate enough to be privy to the entire development process of Jakobs entry and I have to say, it is quite simply one of the most captivatingly unusual miniatures I have seen - embodying a great blend of John Blanche-esque "Gothic Sci-Fi", with Jakobs own creative abilities. Jakob has begun to share his WIP progress photo's on his website on a regular basis now, so if you want to follow the development progress, check it out. Having seen the final piece and painting begin, I can promise you, it is well worth following!